June | 2015 | Sonic Smash-Music! 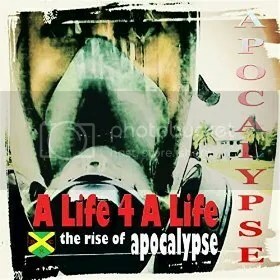 The singer and songwriter of reggae music known as Apocalypse has released his latest LP record, “A Life 4 a Life.” The full-length modern reggae record contains 10 original Apocalypse songs for an approximate total listening time of half an hour. It has been proudly published on the Black Circle Records independent record label entirely without the financial or managerial support of the corporate music industry. Dark, intelligent, and infused at its heart with the contemporary reggae tradition, “A Life 4 a Life” is a modern reggae album with a fresh edge and a powerful message. Apocalypse and Black Circle Records are based in one of the Caribbean’s most active reggae hotbeds, South Florida. “A Life 4 a Life,” while not Apocalypse’s first full-length album, is his most prominent official release since Black Circle’s 2012 record, “Silver and Gold,” a compilation showcasing the label’s best artists, Bone, Taz, Ragga, and Darwin, as well as the two appearing on “A Life 4 a Life,” Nova and Apocalypse. Black Circle Records has been steadily climbing the charts at bustling online music outlets such as iTunes and ReverbNation, and the label’s official pages at Twitter and other social networks have many hundreds of followers. Setting new high standards for production and musical integrity, Black Circle Records is showing how albums like “A Life 4 a Life” represent the aim of conscientious reggae music and all art forms seeking to change the world. “A Life 4 a Life” by Apocalypse is available online worldwide. 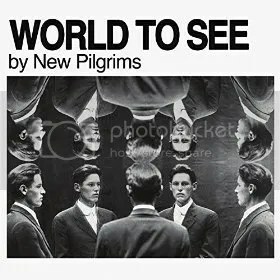 The alternative rock act known as New Pilgrims have released their new LP record, “World to See.” The album contains nine original New Pilgrims tracks for an approximate total listening time of half an hour. New Pilgrims’ “World to See” was produced by Vinny Constantine and proudly released on the Stereophonic Records independent music label. Genuine, intimate, remarkably written and performed with its heart on its sleeve, “World to See” by New Pilgrims is a surprise delight for fans of indie folk, alternative rock and pop music alike. The mastermind behind New Pilgrims is singer-songwriter Bobby Gray from Nashville, TN. Gray cites as main artistic influences many of the mainstays of the alt-folk sound, including Brite Eyes, Dr. Dog and Tom Waits, as well as pop heroes like the Eels, Tricky and the Arcade Fire. Critics and fans have drawn comparisons between the music of New Pilgrims and the Decemberists, the Postal Service, and even Death Cab for Cutie. Regardless of sonic similarities, however, this is song-centric music, and these tracks stand as small, solitary works of art. That the song is Gray’s unit of creativity also shows in his attention to lyrics. Each track seeps with personality like a photograph, a sonic snapshot of time in which something that has happened occurs again. This gives “World to See” a melancholy which is neither melodramatic nor overly sentimental. The word ‘bittersweet’ is a common one to hear when discussing the themes of “World to See” with fans of Gray’s music. The audiophile will agree before the opening track has finished that this “World to See” is definitely something to stop and look at, not least because it’s a gorgeous way for music fans to process it all, too. “World to See” by New Pilgrims is available online worldwide. Get in early, fans of indie rock and folk, and be sure to catch them on your favorite streaming services such as Last.FM, Google Play, Spotify, Deezer Radio, iHeartRadio, and others. 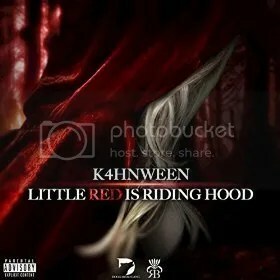 The singer and songwriter of hip hop known as K4hnween has released his latest official single, “Little Red Is Riding Hood.” The track is the most prominent release from K4hnween to date. It has been proudly published on the Dogg Head Gang independent record label without the direction of the corporate music industry. Classy, dark, bursting with bass and showcasing an unusually clean studio production, “Little Red Is Riding Hood” is one of the most uniquely excellent rap tracks to appear in 2015 so far. Caribbean-born K4hnween (often stylized K4HNWEEN) cites as main artistic influences Lil’ Wayne, Meek Mill, Migos, 2 Chainz, Rich Homie Quan, and Bird Man. His own sound on “Little Red Is Riding Hood” is spacious and ambient, extremely stylish and well-performed, decorated with plenty of popular effects and written with poetic deliberation and lyrical care. K4hnween was born on the island of St. Lucia in the Lesser Antilles and grew up speaking both French and English. His professional name of ‘K4hnween’ is pronounced the same as “can win,” and the artist has stated that indeed it carries the same meaning. K4hnween discovered music working as an electronic consultant for recording studios arranging audio components to achieve the best sound. Originally interested in the island styles of music such as dancehall, reggae and rock reggae, he was turned to hip hop through the music of Snoop Dogg and has been a rapper ever since. He intends to perform as soon as possible in foreign locales including France, England, and the United States. “Little Red Is Riding Hood” by K4hnween becomes available online worldwide beginning 25 June 2015. The rapper and songwriter known as Patterns of Perfection has released his long-awaited, third studio LP record, “The Big P.O.P.” The album contains no fewer than 14 original tracks for an approximate total listening time of 50 minutes. It has been proudly published on the rapper’s own World Records independent music label. Widely varied, highly textured, extremely well-written and impeccably performed, “The Big P.O.P.” isn’t just a surefire hit of the summer – it’s quite likely to be among the most addicting hip-hop albums of the year. Nevada’s P.O.P. sites as main artistic influences some surprising inspirations, including Pink Floyd, Zion-I, Eminem, Blockhead, Bob Dylan, Bob Marley, the Cool Kids, Black Eyed Peas, Godsmack, Lil’ Wayne, Freddy Machete, and Fort Minor. If music fans can glean anything from this sonic spread, it’s that Patterns of Perfection is an artist with a knack for music appreciation. Appropriately, his new LP is a grab-bag of goodness that punches from several angles at once. 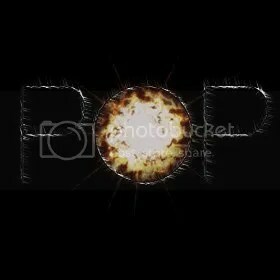 “The Big P.O.P.” is definitely a rap record through and through, but calling it a rap album doesn’t at all describe it. P.O.P.’s new LP is easily one of the least-derivative hip-hop releases ever produced, unique to the bone and totally peerless. Comparisons are impossible. Patterns of Perfection’s instrumentation turns on a dime. His effects each seem newly invented specifically for its track. The result is that “The Big P.O.P.” is totally unpredictable from track to track except that every song delivers, every song being of the highest quality, so that the top-shelf skill with which the rapper performs becomes the running thread which keeps the LP consistent from beginning to end. Back-to-back plays of the record on repeat are virtually guaranteed. Fans of old-school rap will love “The Big P.O.P.” for its ingenuity and raw beats. Fans of contemporary rap will love it for its pure hip-hop soul. Fans of other music genres will love it for its intellect and creativity. In short, “The Big P.O.P.” by Patterns of Perfection doesn’t just have something for everyone, it’s got more of it than anyone is likely to get anywhere else. “The Big P.O.P.” by Patterns of Perfection is available online worldwide beginning 4 July 2015. Get in early, rap fans. Get in very early. 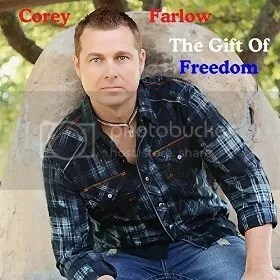 The popular singer and songwriter of gospel and country music known as Corey Farlow has released his latest country single, “The Gift of Freedom.” The track has been published as an independent release and pays tribute and homage to veterans of the United States Armed Forces. A generous portion of the song’s proceeds are being donated to charities benefiting US veterans. A sonorous, gorgeously written and flawlessly performed track in the tradition of American country music, “The Gift of Freedom” is a worthy salute to the men and women who have served to uphold the values and ideals of the USA for more than 200 years. Earnestly sung and elegantly plucked out on acoustic guitar by Corey Farlow, “The Gift of Freedom” was written by Fred W. Byrd, Jr. for the express purpose of paying respect to those who have served to protect the people of the United States and her principles. He goes on to relate in detail how proceeds from “The Gift of Freedom” will benefit veterans. Clearly, Byrd’s feelings about the men and women of the US Armed Forces goes to the bone. Corey Farlow is a well-known gospel singer from Kentucky who has made the crossover into the country-music genre. His debut “Country Never Stops” LP has been winning him fans from coast to coast since it appeared on iTunes’ digital shelf in May 2015, and his official video for the album’s title track has garnered approximately 65,000 views in less than 40 days. “The Gift of Freedom” by Corey Farlow and Fred W. Byrd, Jr. becomes available 24 June 2015. Get in early, country-music fans. Very early. 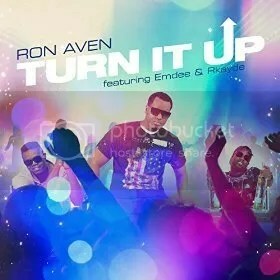 The singer and songwriter of R ‘n’ B and pop music known as Ron Aven has released his latest single, “Turn It Up.” The track has been proudly published on the Gudedit Records independent music label outside of the scope and influence of the corporate-music power structure. In addition to the considerable talents of Aven, himself, “Turn It Up” also features the talents of artists Emdee and Rkayde. Bumping with bass, jumping with melody and sporting energetic back beats and a razor-sharp studio production, “Turn It Up” is a standout pop single from Ron Aven proving him to be one of 2015’s most exciting performers. Quebec’s Ron Aven cites as main musical influences Chris Brown, August Alsina, Michael Jackson, Usher and, as he puts it, “many more.” Fans of these will no doubt be pleased with his latest single, as it hits with the same force and moves people to the dance floor with the same evocative groove. Listeners already familiar with Aven will be thrilled to discover that this newest single, “Turn It Up,” continues the unstoppable sound and style with which he has been scoring fans over the last few years. This style takes elements of pop, R ‘n’ B, old-school hip hop and contemporary hip hop and blends them together for a sound that is all his own. The digital effects on “Turn It Up” mark it as a surefire dance-floor primer, especially powerful for DJs at nightclubs, parties, and anywhere high-octane sounds are in order. Aven’s repertoire stretches back to 2012 when he began work on his debut EP album. Since that time, notable Aven releases have included “Hypothermia,” “Party with Me,” and the seasonal hit, “My Christmas Wishes,” for which Aven received official runner-up accolades from the International Song of the Year Competition. He has consistently collaborated with some of the most creative musicians in the genre, including (but not limited to) Cassidy, Hurricane Chris, and now Emdee and Rkayde. “Turn It Up” by Ron Aven is available online worldwide. The band from Florida known as Happiness to Life have released their latest single, “Best Day of My Life.” The track is the first glimpse of their upcoming extended-play record, the “I Am the Winner” EP. Both are being released on the King Music LLC independent music label without the financial or managerial support of the corporate music industry. Sunny, joyous, and bringing a fresh, affirming sound to fans of pop music all over the world, “Best Day of My Life” by Happiness to Life is evidence that their forthcoming “I Am the Winner” EP is likely to be one of the most jubilant releases of the year. Happiness to Life cite as main artistic influences such legends as Jimi Hendrix, Mavin Gaye, and Imagine Dragons, though it is the last of these which is most similar to the overall effect of Happiness to Life’s “Best Day of My Life” single. Built on an easygoing rhythm and marked by a warm chord progression and happy-go-lucky melody line, “Best Day of My Life” is as exulting as it is celebratory. King Fernand has been playing music since the age of 17, when he purchased his first guitar after having watched a friend play every day for an extended amount of time. A multi-talented musician, King Fernand composes, arranges and performs all his music on his own, with the added support of a talented vocalist giving life to his lyrics. Having been raised in such diverse locales as Haiti and New York, King Fernand has performed with several R ‘n’ B and rock bands including F.S.B., Spirit 9, and Raging Storm. His latest single, “Best Day of My Life,” is his most prominent foray into the genre of pop music to date. 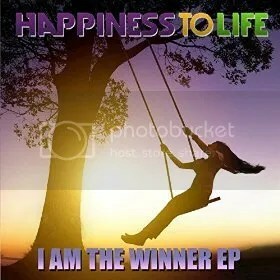 “Best Day of My Life” from Happiness to Life’s upcoming EP record, “I Am the Winner,” is available online worldwide beginning 23 June 2015.